PT Frisian Flag Indonesia - FFI or later known as Frisian Flag is a reputable food and beverages company in Indonesia. Frisian Flag has core competencies in milk-based dairy Industry with Frisian Flag or Susu Bendera as its flagship brand for condensed milk. PT Frisian Flag Indonesia is a local member of Royal FrieslandCampina NV (FrieslandCampina), a well-known consumer goods company in the world from Netherlands. According to information found in Frisian Flag Indonesia's websited as cited by JobsCDC.com, Frisian Flag has been present in Indonesia since 1922. In 1922, Friesche Vlag imported into Indonesia from the Cooperatve Condensfabriek Friesland (CCF). PT Friesche Vlag Indonesia was founded in 1968 as a joint venture company between Cooperatve Condensfabriek Friesland and a local company. The name of PT Frisian Flag Indonesia officially lauched in 2002. Headquartered in Jakarta, Frisian Flag Indonesia now has 2 milk-based dairy production lines and directly employs nearly 2,500 staff. Background in Bachelor Degree in any major (Preferably Master Degree). GPA min 3.0 out of 4.0 for Bachelor Degree. 0 – 2 years working experiences. Background in Bachelor Degree in any major. Willing to be stationed in all cities in Indonesia. JobsCDC.com now available on android device. Download now on Google Play here. Please be aware of recruitment fraud. The entire stage of this selection process is free of charge. 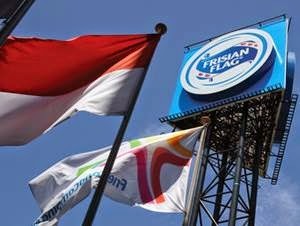 PT Frisian Flag Indonesia - Management Trainee FrieslandCampina Group February 2018 will never ask for fees or upfront payments for any purposes during the recruitment process such as transportation and accommodation.